With the so called 'mini' generation upon us, it makes sense to find that Nokia's latest flagship, the Lumia 930, has been given a slight workover to produce the Lumia 930 mini. OK, it's otherwise known as the Nokia Lumia 830, but to our eyes it seems very much the little brother to the flagship from Nokia / Microsoft. From first glance it's clear that these are Lumia brothers, with the handsets sharing more than just a name. With both sporting Windows Phone 8.1, the similarities go more than just skin deep; so in the battle of power versus price, which handset is right for you? If you were to walk into your friendly local mobile store tomorrow, you would be forgiven for thinking that they had put two identical handsets on the wall. Perhaps the staff had got a bit confused? But dig a little deeper and things become clear. Both the Lumia 930 and 830 come sporting a metal rim, allowing them to show off their premium roots. Both feature that plastic rear, available in some overly bright colours should your heart truly desire them. However, the similarities stop here. Where the Lumia 930 comes wrapped tightly in its metal body, the 830 feels chunkier and more brick-like. Its corners come squarer than the black glass bezel, the first hint that Nokia has cut back on its design budget here. There's no doubt that the Lumia 930 is the better-looking handset, but beauty is more than skin deep. The plastic back on the Lumia 830 is removable, allowing you to swap out microSD cards and even the battery, a feature that is missing on the 930. This means that you'll be stuck with only 32GB of storage on the flagship, but can have up to 144GB on the 830 thanks to 16GB inside and the possibility of adding a 128GB microSD. At first glance then, the Lumia 830 is ideal for those looking to watch movies on the morning commute. This isn't necessarily the case though as Nokia has looked to save cash on the 830's screen, despite also coming with a 5-inch screen. Being a flagship means that the Lumia 930 can afford its Full HD AMOLED screen (giving a density of 441ppi), leaving the Lumia 830 lacking with a 720p HD IPS LCD affair. The ClearBlack technology might come on both handsets, but the much lower pixel density (294ppi) means that it is far less suited to movies on the go, and struggles against the AMOLED technology in brighter sunlight. Other clues to the Lumia 830's more budget pricing come in the form of its processing power. Qualcomm's technology graces both Lumias, although the Lumia 930 comes boasting a 2.2GHz Snapdragon 800 rather than the 1.2GHz Snapdragon 400 of the 830. This lower power is evident in day to day use. Loading screens become a little too common when you try to throw heavier lifting at the Lumia 830, which is far more comfortable managing your emails and Skype chats than playing graphically intense games. For that, the extra power of the Lumia 930 is almost essential. Despite all these budget cuts, Nokia has still given the Lumia 830 some of the higher end features that sit comfortably on the Lumia 930. PureView, the same tech that graces the 41MP Lumia 1020, makes its way to Lumia 930 and 830. Being the flagship means that the 930 has twice as many pixels to show this off, 20MP to the 830's 10MP, as well as having twice the amount of LED flash bulbs. This makes the Lumia 930 far more suited to show off well composed snaps. Those 10MP of the Lumia 830 aren't wasted though, the 830 can still take some really decent shots, but these are better suited to sitting on the small screen. The Lumia 830 is definitely well-suited as a social snapper, but the camera suffers from the same slow down as the rest of the handset. Making it through the day without reaching for a charger is vital for anyone, no matter which handset you choose. In terms of pure power pack size, there is little to choose from with the 2420 mAh power pack of the Lumia 930 hardly towering above the 2200mAh of the Lumia 830. In day to day use, both batteries perform remarkably similarly. The lower power processors of the Lumia 830 are countered by the less power hungry AMOLED screen of its bigger brother, leaving you with enough power to get you through a typical day's use with enough to spare should you need it. Thankfully any cuts in performance have been justified by a cut in price. Although you won't have to fork out an upfront fee, you will still have to pay (on EE) £36pm for the Lumia 930, £11 more than the £25pm 830. SIM free prices reflect a similar difference, looking at £400 and £300 for Lumia 930 and 830 respectively. In the battle of power and price, the Lumia 930 and 830 both make compelling arguments. A slightly better design, and higher end internal components leave the Lumia 930 to compete at the higher end of the market. Although let down by a lack of upgradeable storage, its better screen makes ideal for watching movies and the higher powered internal components make it more suited to heavy gaming. At the other end of the spectrum, the Lumia 830 still has some nifty tricks up its sleeve. Its camera might not be as high powered, and its CPU as powerful, but it is ideal for those looking for something to get them through a day of Instagramming, emailing and Facebooking. It might not sit as prettily in the boardroom, but then it was never meant to. 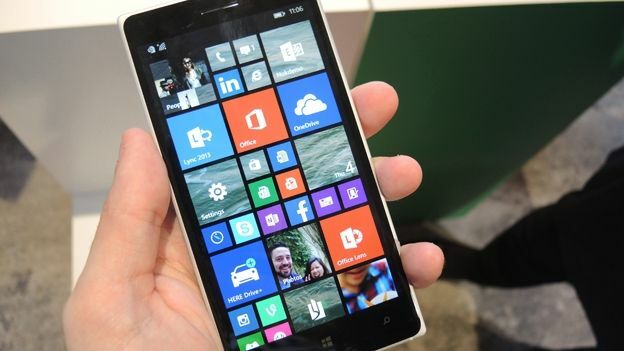 Does the Nokia Lumia 930 shows that Windows Phone 8 is worth switching to?